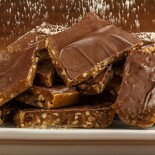 Buttery and crunchy with diced almonds, covered with dark chocolate and a layer of almond meal. Our trademark. 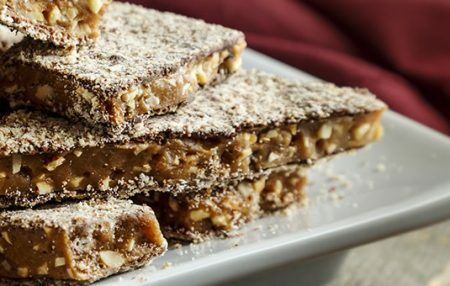 A delicious golden almond toffee made from sweet cream butter, sugar, and almonds, covered with a layer of chocolate and crushed almonds on each side. Choose from milk or dark chocolate-covered toffee.